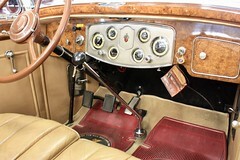 which gives 120BHP at 3200rpm and a 3 speed synchromesh (2 and 3) gearbox. 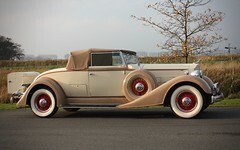 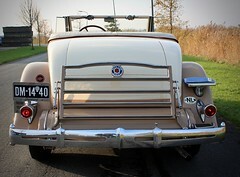 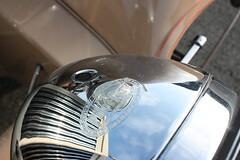 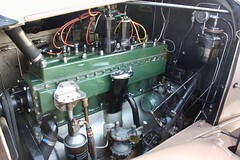 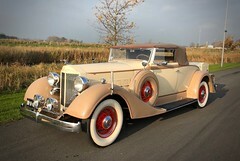 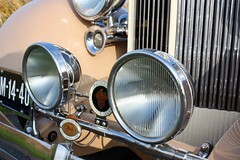 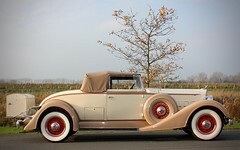 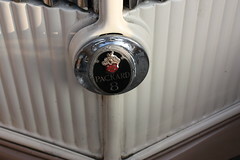 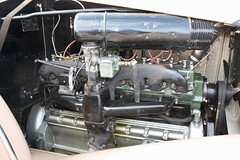 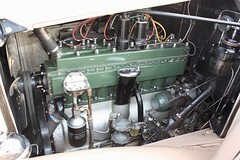 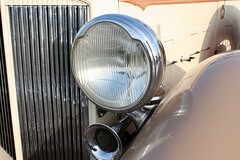 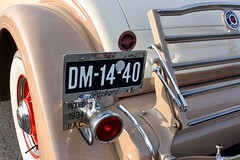 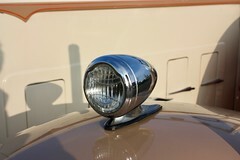 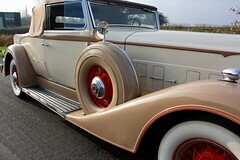 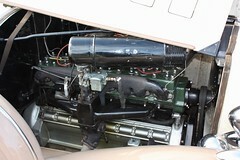 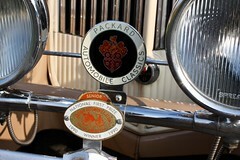 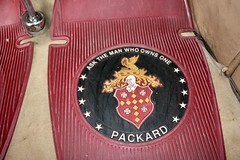 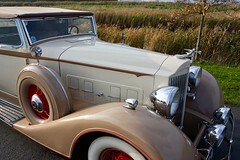 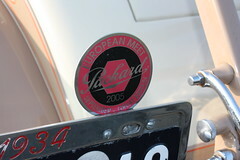 Packard had an amazing array of advanced engeneering those days! 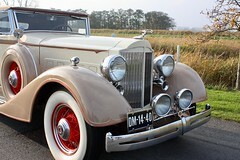 It’s an handsome example of one of the pretiest and best driving Packards! 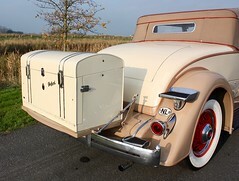 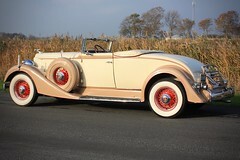 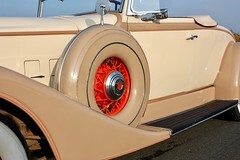 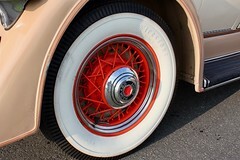 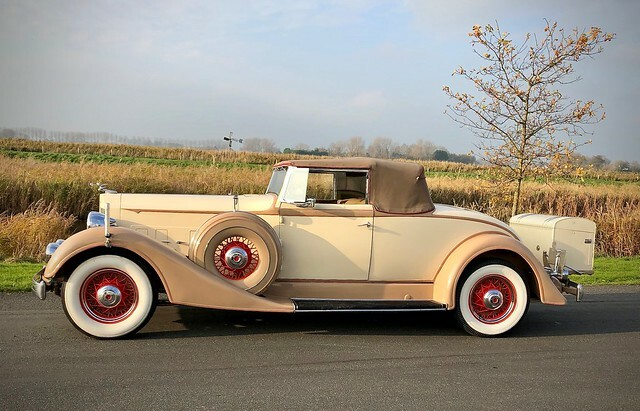 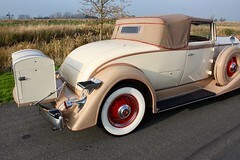 It’s is an older quality restoration , finished in two shades of cream burnt orange wheels with whitewall tires , upholstered in tan leather and a tan cloth top. 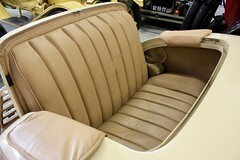 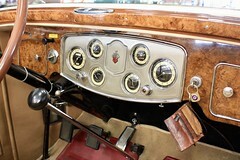 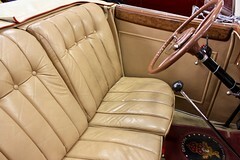 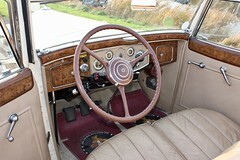 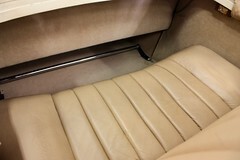 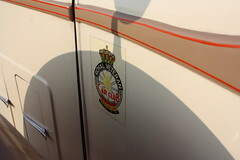 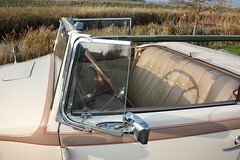 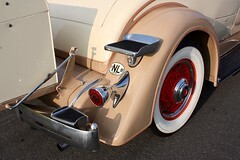 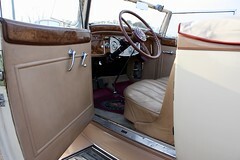 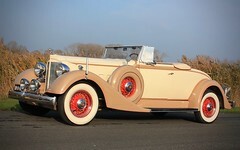 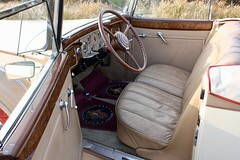 The interior is very sound and the paintwork has some patina , the chrome brightwork is very nice. 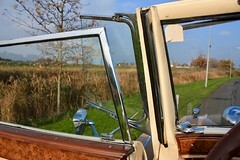 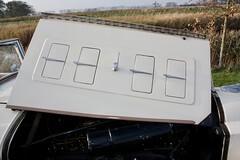 – Side screens , which are turning open to gether with the doors. 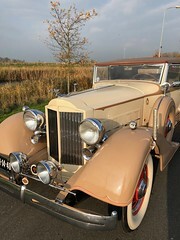 Zandloper 15, 1731LM, Winkel ,The Netherlands, 0031(0)224-541647.